Sang Yoon doesn't celebrate Thanksgiving—at least, not the way most of us do. Instead, he observes what he calls "Sangsgiving," the most lavish, over-the-top and adamantly nontraditional Thanksgiving this country has ever seen. "I have two rules: Don't eat turkey, and drink nothing but great bottles of Champagne all night," he says. The communal spirit of Thanksgiving lives strong at Sangsgiving. "The gathering part is fun," Yoon says. "If I can't get a minimum of eight people, there's no point in doing it—you can't do Sangsgiving with just three dudes sitting around." 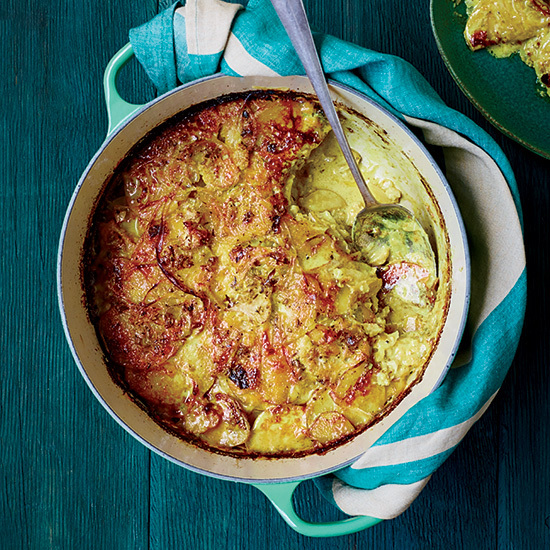 In that sense, Sangsgiving is less a rejection of Thanksgiving than a true celebration. 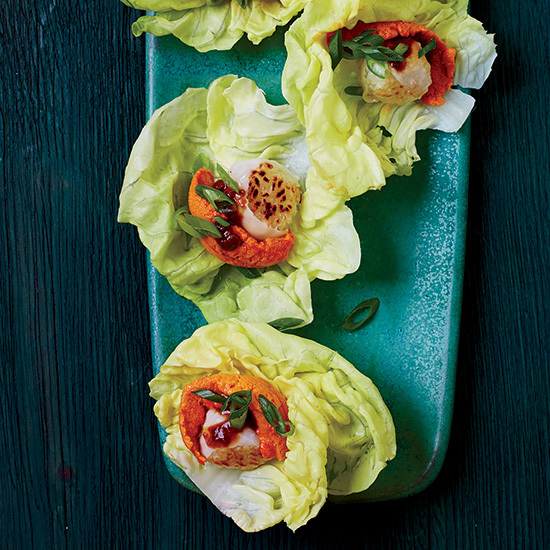 These lettuce cups are filled with surprising and boldly flavored ingredients—crisped balls of sushi rice wrapped in paper-thin sheets of lardo (pork fat) and topped with fresh uni (sea urchin). 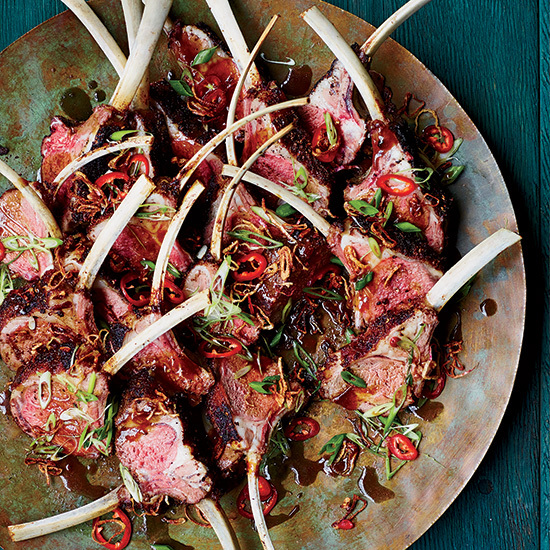 Sang Yoon brushes lamb racks with soy sauce, rubs them with a Sichuan peppercorn, cumin and star anise mix, then roasts them until perfectly medium-rare. 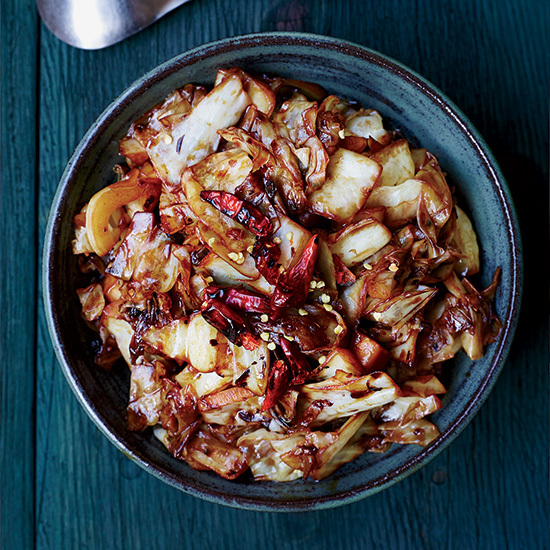 This spicy cabbage dish features stir-fried cabbage with plenty of Sichuan peppercorns and hot chiles.